Just because you don’t have someone in your life to spoil you, it doesn’t mean you can’t spoil yourself. Every year, as a single woman, I’d buy myself a bunch of roses on Valentine’s Day – usually discounted by the time I got them on my way home from work! It might sound a bit sad, but I really enjoyed seeing a vase of beautiful orange roses (my favourite) on the table – a little luxury to brighten up my week! If flowers aren’t your thing, how about a box of chocolates or a nice bottle of wine? A piece of jewellery you’ve had your eye on for a while, or a new item of clothing that makes you feel great? Treat yourself – you’re worth it! If being alone on Valentine’s Day gets you down, round up a few single friends for a fun evening together. You don’t have to call it a Valentine’s party – it could even be an anti-Valentine’s party! Do you have single friends at church? At work? In your friendship circle? They might appreciate a chance to forget about hearts and flowers and enjoy a evening out together in a pub, restaurant or comedy club (but bear in mind that people have different budgets). You can make it as creative as you want – maybe you’d like to present each person with a flower or hand-written card as a token of your friendship, or do Secret Santa-style gifting. But a simple pizza-and-film evening in your home will do the job just as well, and remind everyone they have good friends who care about them. If a quiet night in is more your style, a pampering evening might be in order. A hot bath with fragrant oils and candles? A takeaway and a good glass of wine while watching a film? A grooming session with facepack, manicure, footspa – maybe even a professional massage? Cuddling up under a cosy blanket with the cat and a good book? Whatever counts as a luxurious, relaxing evening for you – do it! 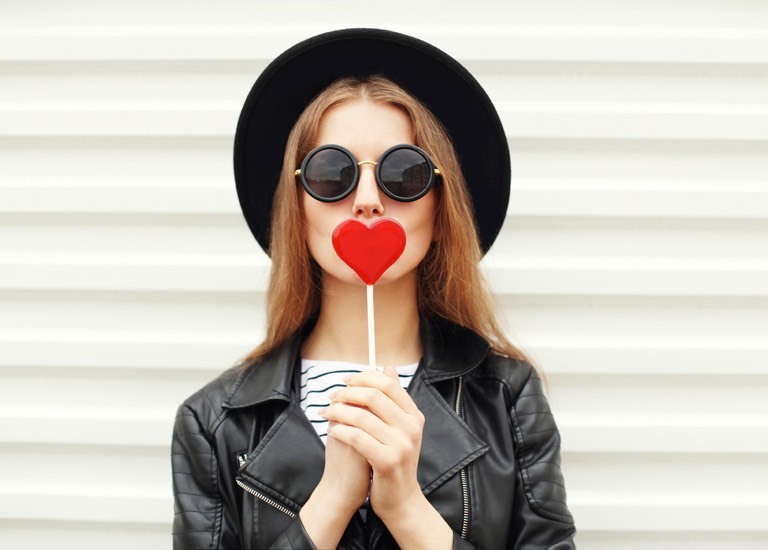 If Valentine’s Day has reminded you that you really don’t want to be single, you could use the time to get proactive – so by this time next year, you might have someone special to share the romance with. If you’re not currently on a dating website, why not sign up? You could be chatting to other lonely hearts within minutes. If you’re already online but not getting the results you want, take time to refresh your profile. Could you ask a friend for their opinion on how you could improve your description? Is it time you uploaded some new photos? Could you be more active about contacting people? Maybe spend the evening browsing profiles and challenge yourself to send out at least five waves or emails to people who have potential. There are lots of Christian singles groups and events organisers around the UK, and many have Valentine’s events such as parties or speed-dating – if not on the actual day, on a weekend nearby. What better way to meet other like-minded people, and maybe encounter someone special? Christian Connection has a Valentine’s party on 9 February in London – visit www.eventsforchristians.co.uk. You can check out my pick of events organisers around the UK here. If there’s nothing near you on the list, Google or Meetup.com could help you find a local group or events organiser. Remember that even if we have no ‘significant other’, there’s someone to whom we are ALWAYS significant: our heavenly Father. Even though we may sometimes feel lonely, we are never truly alone. So why not set aside some quiet time to read an encouraging Christian book, meditate on the Word, praise God, and pray for yourself and others. Remind yourself that whether you’re single, dating or attached, you are loved by God – and allow yourself some time to revel in His amazing love. For Valentine’s week (13-19 February), you can get my book Would Like To Meet (a fun romp through my four years on the Christian dating scene) for the special price of £4.99 (RRP £6.99) with free UK p&p. Visit www.facebook.com/hopefulgirluk to find out more.